Commemorative Occassions eg Weddings, Birthdays, Anniversary's, Mother Day, Fathers Day; Portraits; Pets; Boy's Toys eg Bikes, Cars, Planes; Business Logos; Australiana etc; . 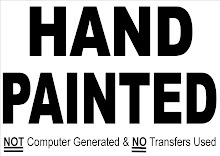 Because all our work is Hand Painted and custom made, the final price may vary. NB origional face size must be larger than 50c more than one face extra. "My greatest joy is painting what I love and Jen features regularly as my model and muse." 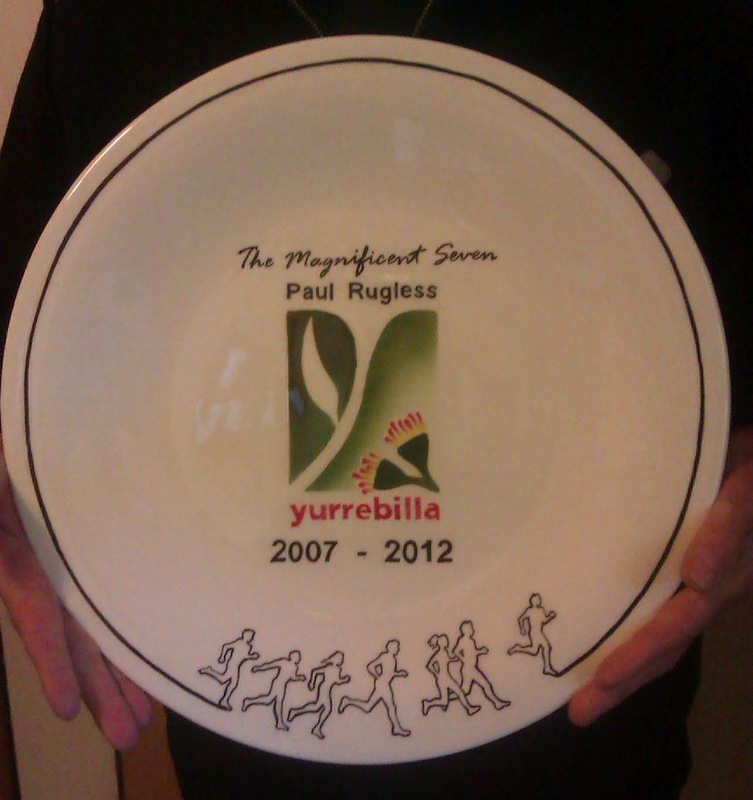 " ... hand painted the plate obviously from the photograph ... congratulations ... the art work is outstanding. " "I am writing to say how impressed I am with your professionalism, friendly service and products. I was looking for unique gifts for a 70th and an 80th birthday, also Mothers Day. The commemorative plates designed and made by you were truly unique. They were of excellent quality and well presented. The recipients were absolutely delighted with their gifts. Many of their friends have commented on how good they look. They are well designed with attention to detail. You were able to create a plate from a brief description provided that exceeded my expectations. I would not hesitate recommending you to any of my friends, who might be looking for a truly beautiful and unique gift." "I have had the pleasure of purchasing 2 house number tiles in the past few weeks. One was my design which myself and the recipient was very happy with, the other was their design this also looked great, once again myself and recipient very happy with the result. I wish you both every success in the business and hopefully further shopping at 206 The Parade Norwood." "Thank you so much for the beautiful platter. I'm quite taken back by it, as it has so much more detail in it than I ever imagined. It's stunning. Our friends whom it is for are much loved, so we really wanted to give something that represented us all, something personal and definitely unique. You surely have provided that, and I thank you." HANDMADE and HAND PAINTED 38cmD Ceramic Art Platter This Art Platter was COMMISSIONED for a WEDDING GIFT. The customer's brief:- stylized and with birds. I decided on swallows as they mate for life. Cate M was very pleased! HANDMADE and HAND PAINTED 38cmD Art Platter This Art Platter was COMMISSIONED for a WEDDING GIFT. The customer's brief:- to incorporate a map similar to the couple's wedding invite. I decided on a border depicting both their adventures. This gallery showcases my HANDMADE and HAND PAINTED COMMISSIONED 38cmD Ceramic Art Platters for various customers ordering BOYS TOYS. 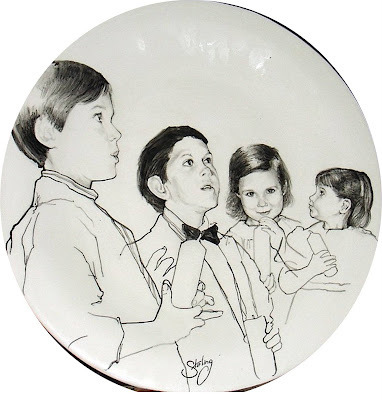 HANDMADE and HAND PAINTED 38cmD Ceramic Art Platter These Art Platters were COMMISSIONED at various times for a customer who wanted PORTRAITS of his family members. Eddie G was very pleased!